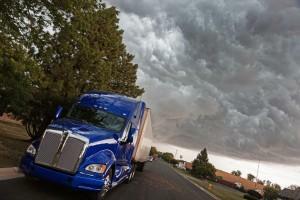 Semi-truck towing and assistance requires specific skills, equipment, and experience. 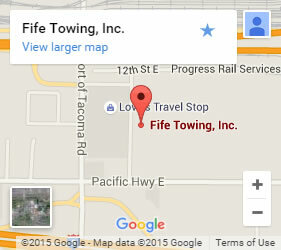 Fife Service & Towing has certified semi-truck towing professionals who are well equipped and knowledgeable on everything from load shift to lifting trailers. We get you back on the road whenever possible and when it is not possible, we get you, your truck, and your cargo safely off the side of the road for further repairs. Call now for professional semi-truck towing in Tacoma and the surrounding areas. We know your time is your business, so we don’t waste a single moment. We offer 24-hour services, 7 days a week, 365 days a year. Our 24/7 service and dedicated dispatch team allow us to get someone to you quickly wherever you are. We have a large fleet of towing and roadside assistance vehicles so we reduce any wait. Whether you have a flat, have run out of fuel, or have broken down, we show up quickly and we show up prepared. Our team is able to problem solve even the toughest situations, such as underwater recovery. As a locally-owned business, we care about doing an excellent job for our customers. Our large fleet covers every driver. That means we get there quickly and come with what is needed so you don’t have to wait any longer, and we have the knowledge and experience to handle your problem. That is all part of how we have earned our reputation for quality semi-tuck towing in Tacoma. Contact us now and get semi-truck towing in Tacoma—fast! Don't Leave Yourself Stranded! Our Dispatchers and Trucks Are On Call 24/7. Call To Speak To A Dispatcher Now!